The entrance to this museum is via a five metre high big shell, representing the special nature of the museum. Inside is a wide variety of (mainly Australian) shells displayed in cabinets. There are other interesting specimens from the sea, including huge giant clams, turtle carapaces, king crabs, whale bones and a variety of corals. Also some fascinating rock samples, including a large piece of petrified wood. The shell theme is emphasised by the shop's main stock of shells for sale, but many other items, such as souvenirs of coloured sand, local crafts, and leather hats, belts etc. (made on the premises) are available. 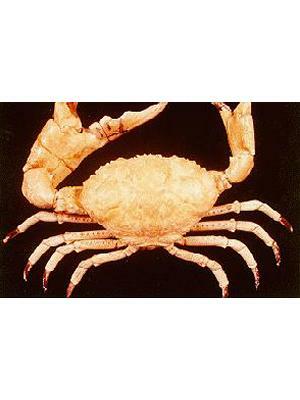 King crabs from Southern Australia. 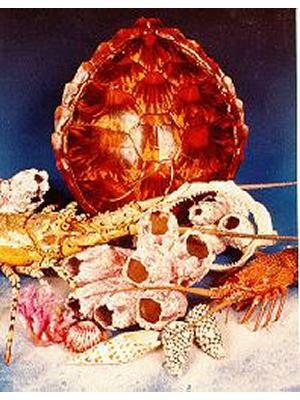 Carapaces of crustacea on display. 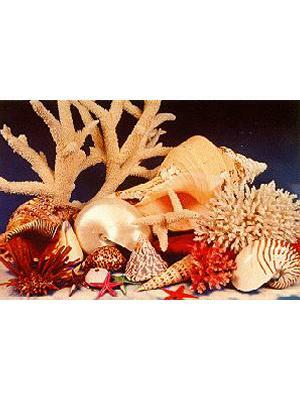 Various corals, shells etc, for display and for sale.